A properly fitted and patched belted ball shot from a well-bored barrel is the traditional way to obtain accurate shots with the Brunswick rifle. However, the author's Nepalese gun did not respond well to such loads. Preliminary shooting with the Nepalese version of the Brunswick rifle revealed that if any accuracy was to be obtained belted balls had to be used, as patched round balls shot even worse than from a smoothbore gun. Although the gun was sound enough to shoot and the lock parts were well hardened (sometimes a problem with British- pattern guns made in India and Nepal), this was apparently the maker’s first attempt to produce a rifled gun. The groves were roughly cut, the pitch varied and ridges of metal remained on either side of the rifling cuts. English and Belgium-made guns have two deep grooves that may be either flat or round-bottomed. The Nepalese gun had two relatively shallow, wide, flat-bottomed grooves with ridges of metal paralleling the grooves all the way up the barrel. This metal was displaced by the rifling broach as the gun was rifled. Consequently , these four rough edges cut up the ball’s patching and resulted in a strong vertical displacement of the shots on the target. The heavily lubricated patches left the gun shredded and some were smoking. Ordinarily when this happens in muzzleloading rifles with rough barrels, additional lubricant can help as well as adding fiber or felt wads between the powder and ball. These added ingredients help accuracy by preserving the physical integrity of the patch. This approach was tried with 11-gauge over- powder card wads and a split 11-gauge fiber wad with a glob of Thompson/Center Arms’ Bore Butter placed between the wads and the patched ball. 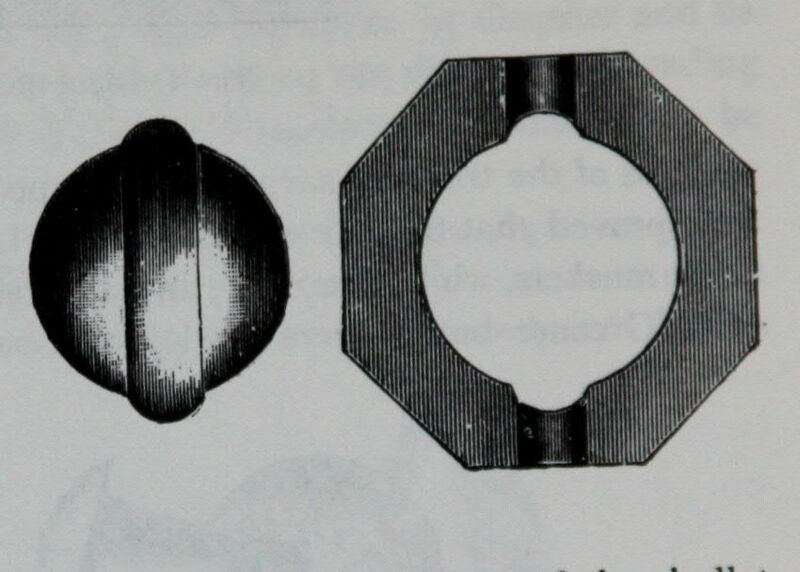 Such wadding techniques are commonly used in muzzleloading revolvers, and, when required, in rifles. The result of five-shots fired from sitting at 20-yards was a group that measured 4-inches horizontally and 7-inches vertically. This is miserable shooting from a rifled gun. Even considering that this is a military gun with not-so-good sights and a tough trigger, all of these shots should have in a group about the size of a half-dollar (2-inches). Although the gun is apparently developing sufficient power to kill deer-sized game and is functionally reliable, its intrinsic inaccuracy preclude it from being used as a hunting gun at ranges of more than about 15 yards. A video of me targeting the gun is below has been posted on YouTube at: http://www.youtube.com/watch?v=FxBbgQqqL_s&layer_token=c2bffaa57e4d2280 . View the YouTube version if the video posted below does not run smoothly on your computer. « The Backyard Sportsman: New Radio Show Features Hunting, Hunting Tools, Home Cooking and Home Businesses.